1. The spring session of my Manotick classes starts Tue. Apr. 3 with Hatha Yoga at Denise Smith Dance Studio. Last class of the winter session is Thu. Mar. 15, then we are off until after Easter. Check back to this site for ongoing updates. 2. Registration for the spring session of Yoga-Pilates at Nepean Creative Arts Centre (Wednesdays at 9:45 – 11:00 am starting Apr. 4)) is now open, online and in person. See www.ottawa.ca under “Register for Recreation”. 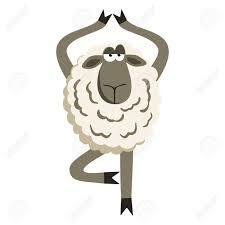 If you can’t get in to my class, consider a new Yoga-Pilates class on Mondays at 9:30 – 10:45 am taught by Sandra (the gal who subbed for me) starting Apr. 9. This is not in the recreation guide, but to register use barcode 1174804 or call 613-596-5783 for more info. 3. Join me for an afternoon yoga workshop, “JOURNEY THROUGH THE KOSHAS”, on Sun. Apr. 8 at Empower Me Yoga on Carling Ave. from 1 – 5 pm. Part lecture, part practice – we will review a timeline of the history of yoga and its roots, learn about the five koshas or “sheaths” of being, then experience the depth and beauty of an extended “Five Koshas Class”. To register, see www.empowermeyoga.com under “Events”. 4. Can’t make it to yoga? How about another option? Join Caroline Chapman for an hour of fun mindful movement with NIA – a combination of dance, martial arts, and mindfulness. She’s offering sessions at Manotick United Church and Denise Smith Dance Studio. See this link for more info: https://nianow.com/caroline-chapman. Sun. Jun. 24, 2018, at the Brookstreet Hotel in Kanata. An urban retreat in the heart of Ottawa’s high tech district! Perfect way to unplug for a day with yoga, meditation, and nature walks along the trails surrounding the Marshes Golf Course…More details to come after Easter. Sept. 27-30, 2018, at Shanti Retreat on Wolfe Island. More details to come after Easter.